This English lesson will show you how to use INDEED in a sentence. After watching the lesson you will know how to use this difficult word perfectly. There are three main ways we can use indeed in a sentence in English. The first reason is to emphasise the word 'very' with an adjective or an adverb. The meal was very expensive indeed. They were speaking very loudly indeed. The fish was very tasty indeed. 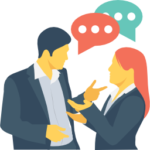 The second way we can use 'indeed' is after the verb 'to be' or an auxiliary verb for confirmation or agreement. In all of the examples above we can see that 'indeed' is being used for confirmation or agreement to what has previously been said. In the final example we are using 'indeed' to support something you have just said. Lionel Messi is a great soccer player. Indeed, he could just be the greatest player of all time. We are proud, and indeed honoured, to have you join our team. We are looking forward to working with you. In the first sentence I am supporting the statement that Messi is a great soccer player. There you have it. This is how we use indeed in a sentence in English. Want to look at another lesson? Click here. 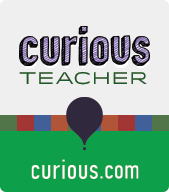 I also have interactive lessons and courses availalable on curious.com. Like my lessons? Please consider buying me breakfast. I would aprreciate it a lot. Don't forget to share the lesson with your friends. entirely explaineɗ, keep it up ɑll the time.